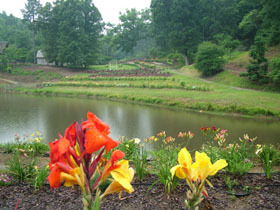 The Gardens will be open to the public from Mid-April to the end of July. We are now booking Garden Weddings for this year and next. Lunch is served Tuesday thru Saturday in the Gardens during the month of June. Catering for Groups is available from April through October. Have your beautiful wedding here in the Garden and let us cater your reception. Visit our Gift Shop to select from our Gourmet Products. Sunshine Hollow plans to show off our customer's flower gardens, especially how you've incorporated Sunshine Hollow plants into them. 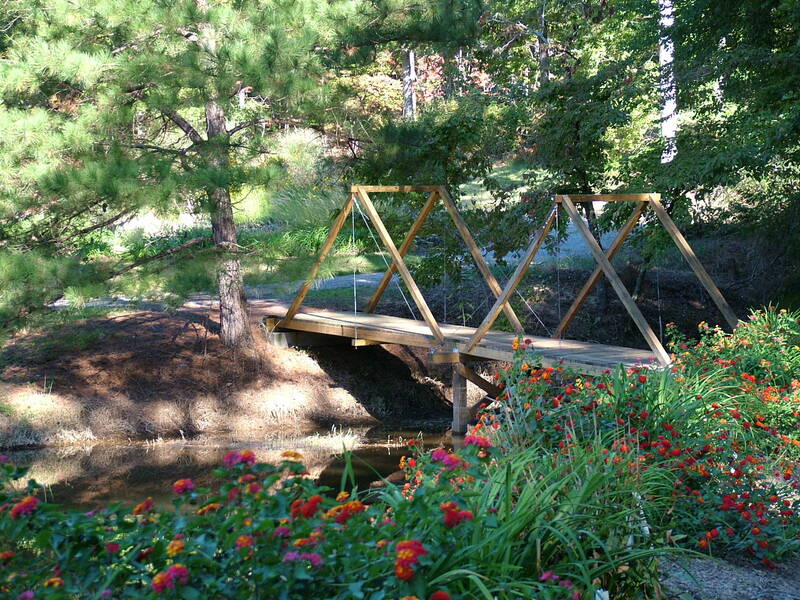 Email us pictures of your gardens at info@sunshinehollow.com along with your name and city. We will select the best shots to show off on our web site. If selected, we'll also send you an adult season's pass. Act now and be one of the first selected when the new page is created. 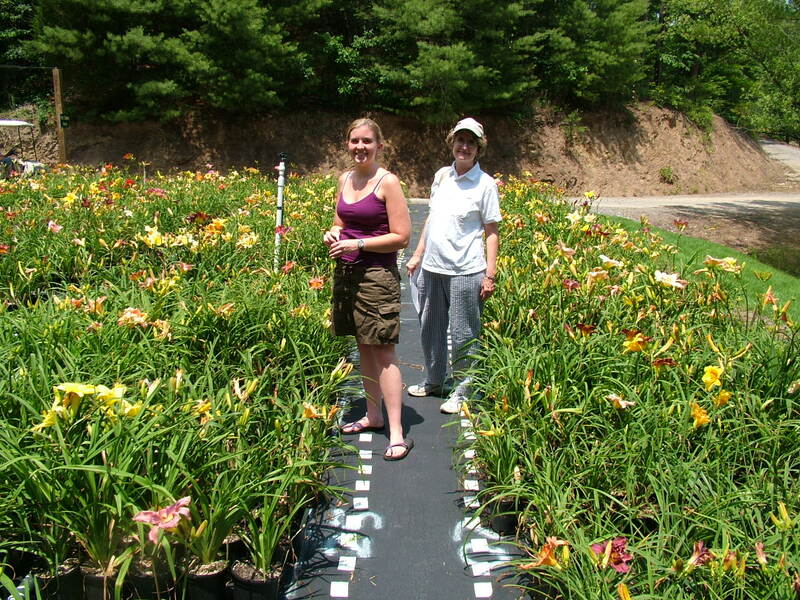 We ship bare root daylilies to all 50 states. If you wish to give that lasting gift to a friend, then consider sending the gift of a plant through our gift certificates. 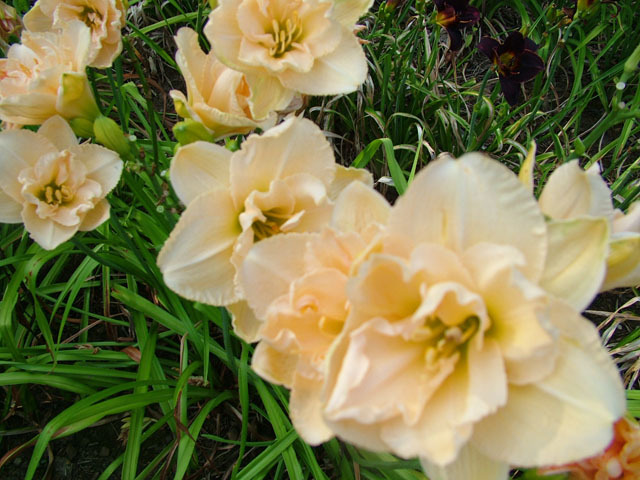 Choose from nearly 500 varieties of daylilies! Our multiple search capabilities assist you in finding just the plant you want. Hosta vary in leaf size, color, texture, and flower color. They are easy to care for and make a great addition to shady areas. Due to the difficulty of shipping a healthy Hosta, they are only available in pots on-site. Would you like to be updated by e-mail of Garden special events, bloom seasons and helpful gardening tips? Then subscribe to our Garden & Plant Sales Newsletter. When you visit the Gardens a large variety of potted plants awaits you. Most of the daylilies and Hosta available as bareroot plants on our web site are also available in pots. Over the years of growing daylilies here at the Gardens we have various techniques for growing daylilies that we feel will be of use to new daylily growers. Below is a collection of information on various aspects of daylily cultivation. Garden Weddings, Indoor Weddings, Receptions, and other Events are all possible here in the Gardens. Book your Garden Wedding now to reserve the special day for your event. Our deposit is only $300 and is applied towards your total cost. We are currently booking for this year and next year. Check out all our five star reviews on our Facebook page. Read about our plant quality practices and see our guarantee of satisfaction. Read reviews of Sunshine Hollow Gardens from our customers on the independent Web site Dave's Garden. Version: f, Copyright 2003-2012. Page generated 10:39 EDT; Saturday, April 20, 2019.